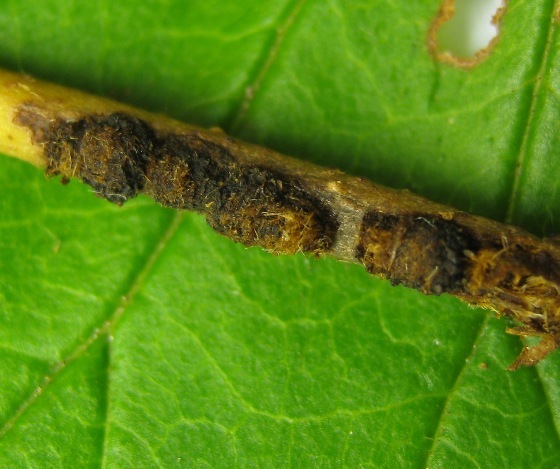 I began to find some eggs of the VLB on the terminal twigs or arrowwood. The females dig small holes, lay about 8 eggs and cap the hole with a mixture of sawdust and excrement. The larvae emerge in the spring.